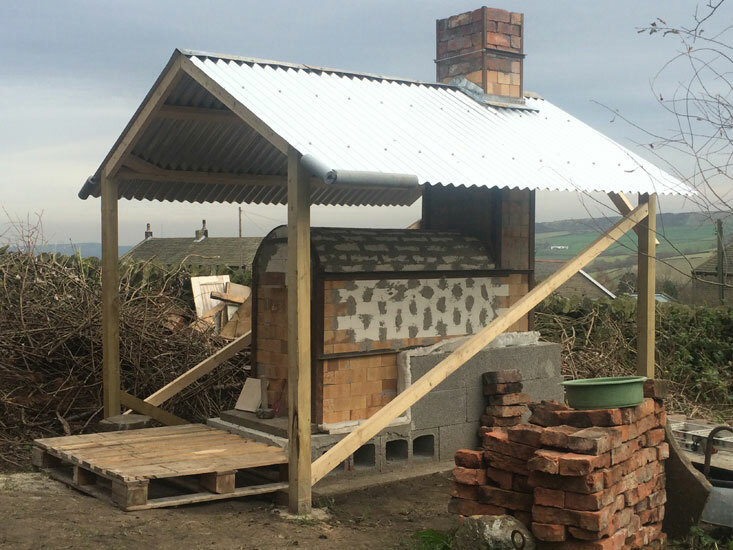 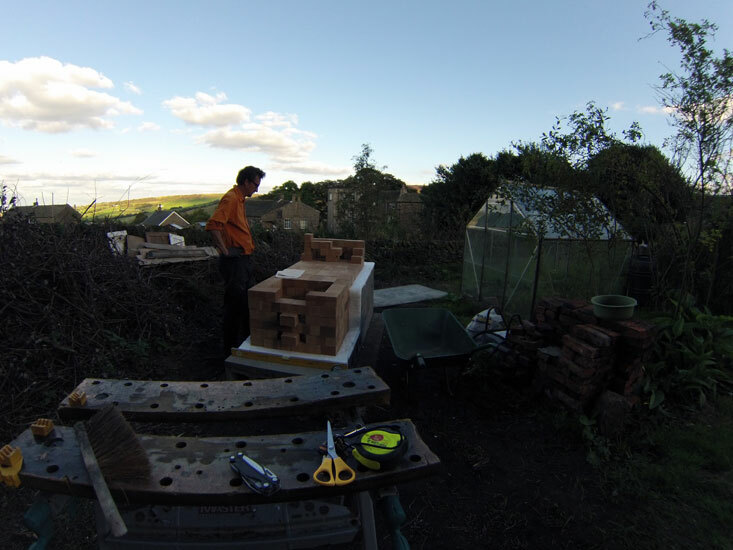 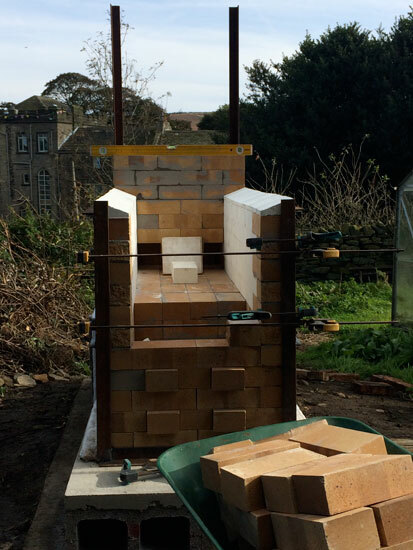 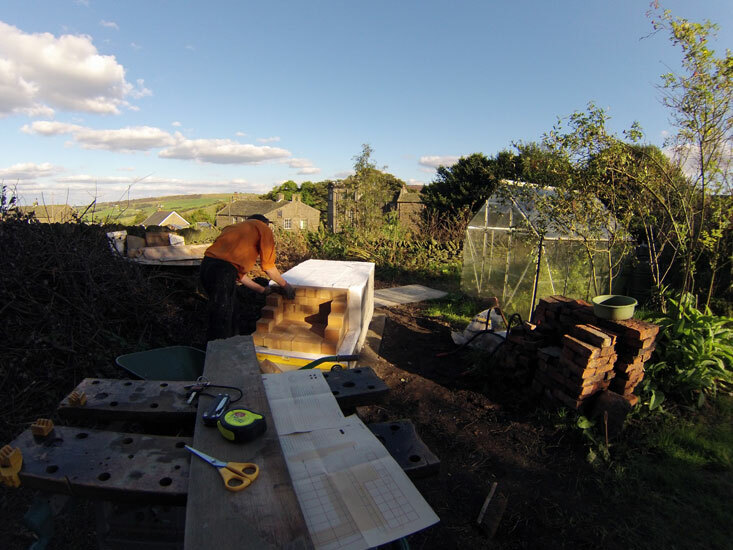 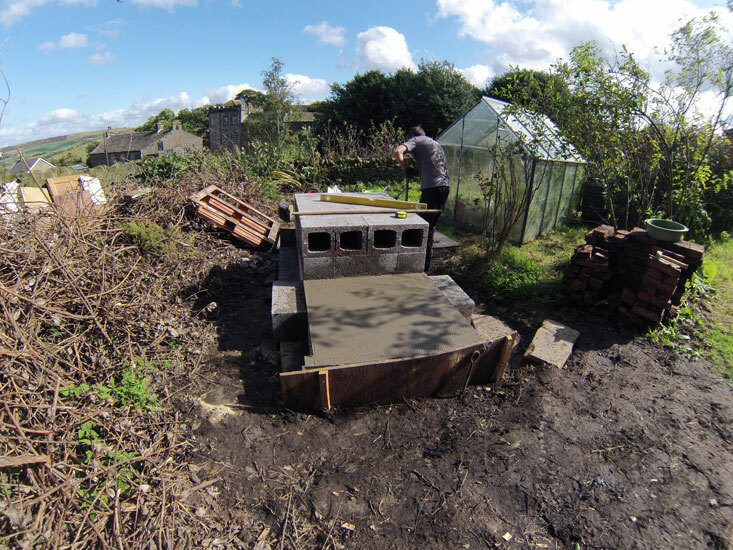 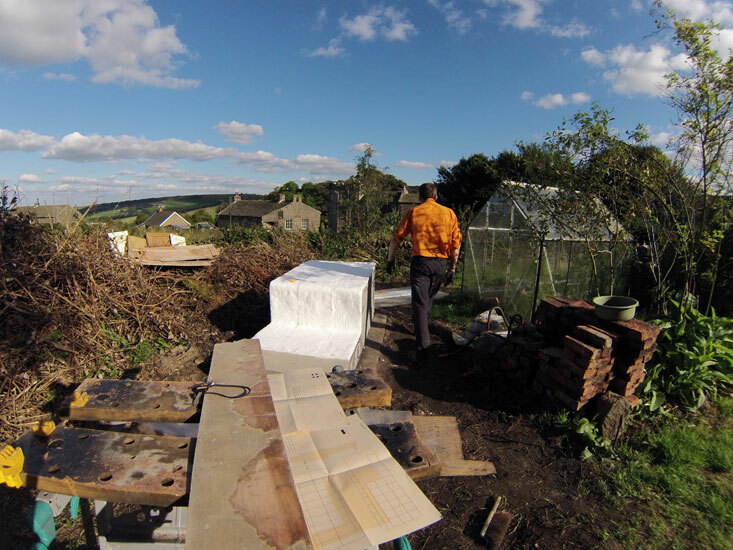 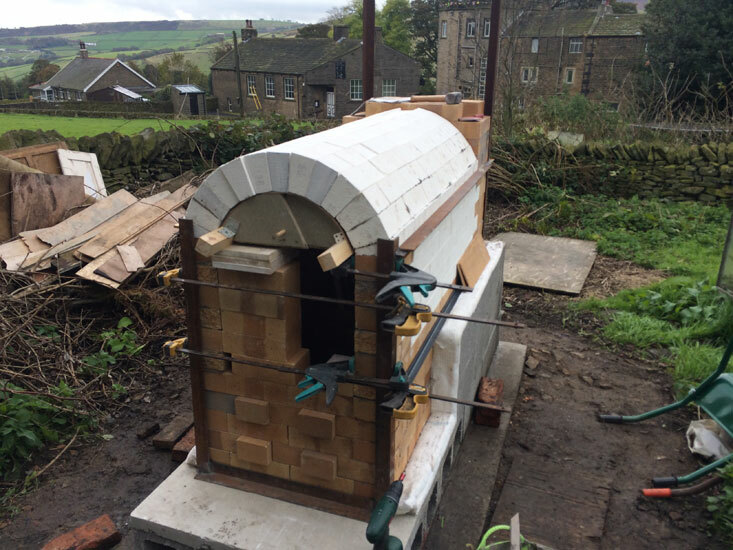 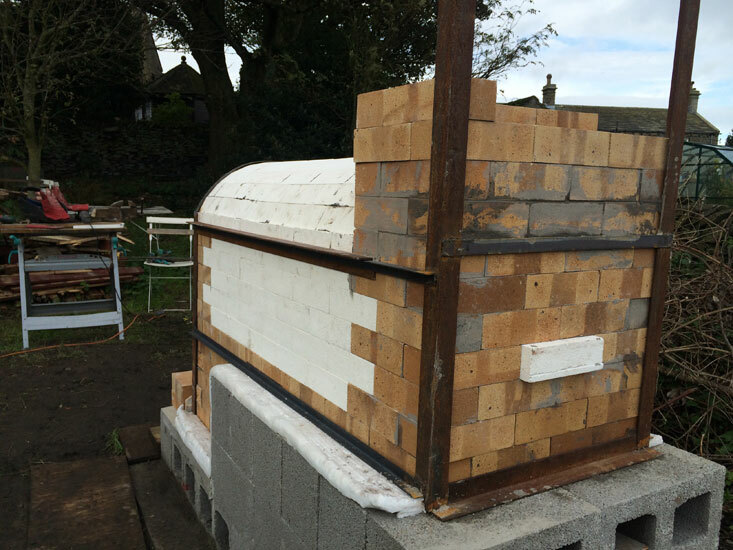 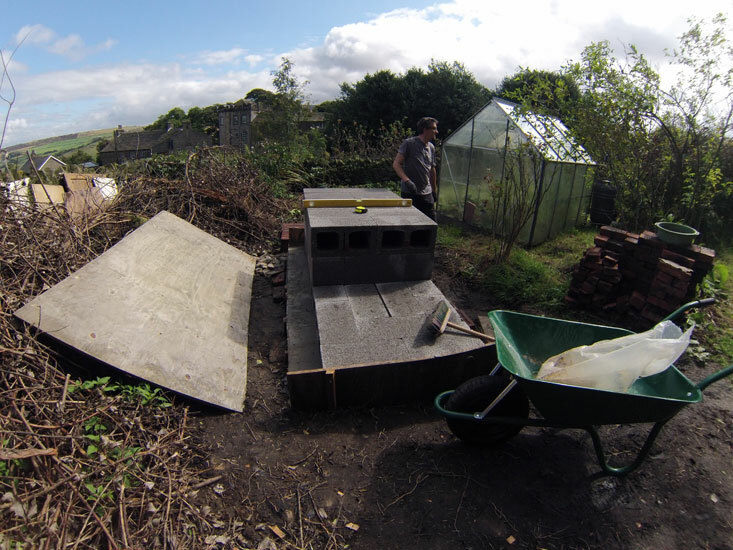 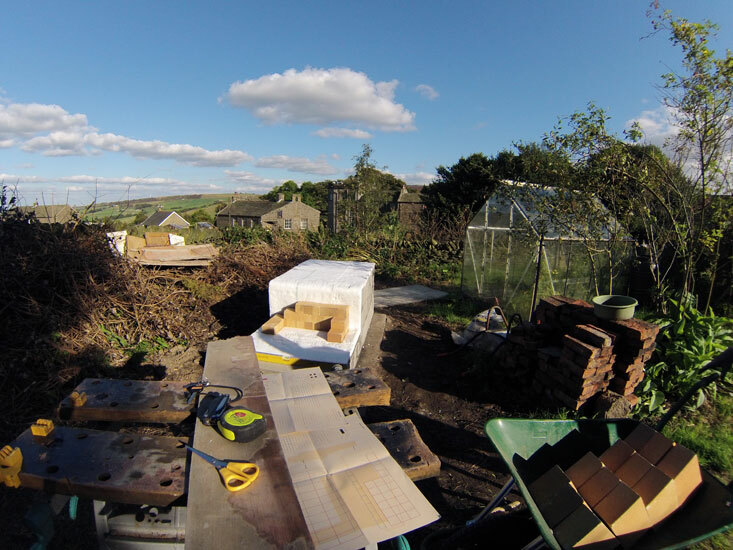 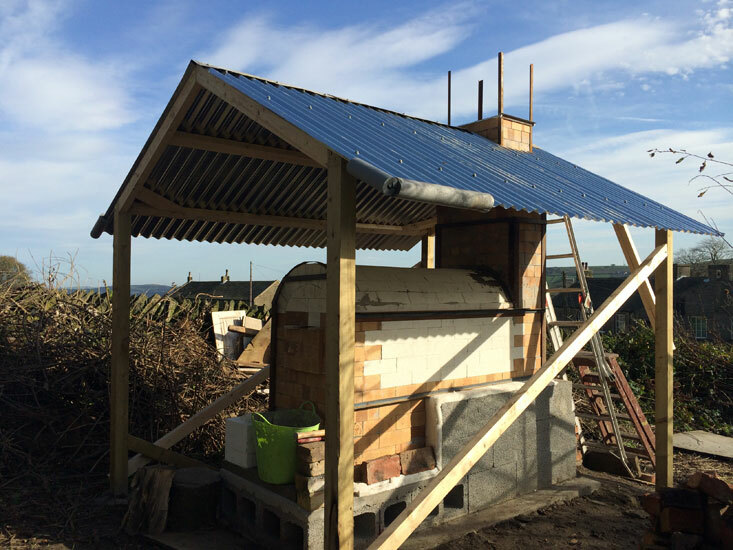 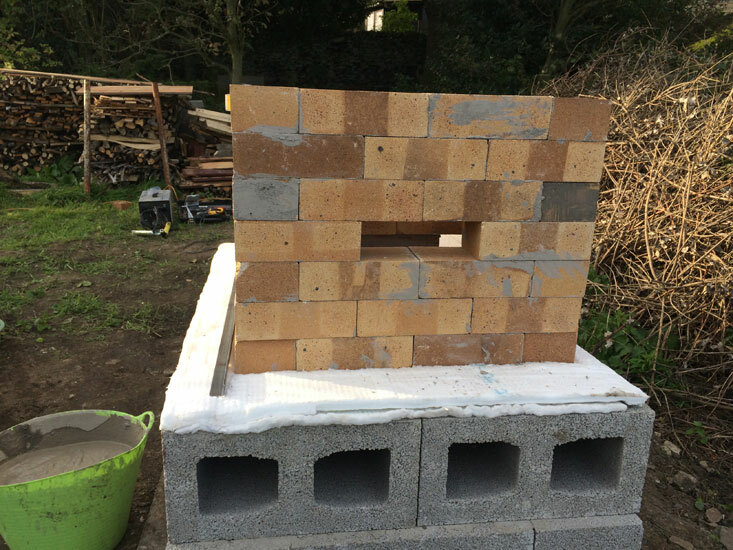 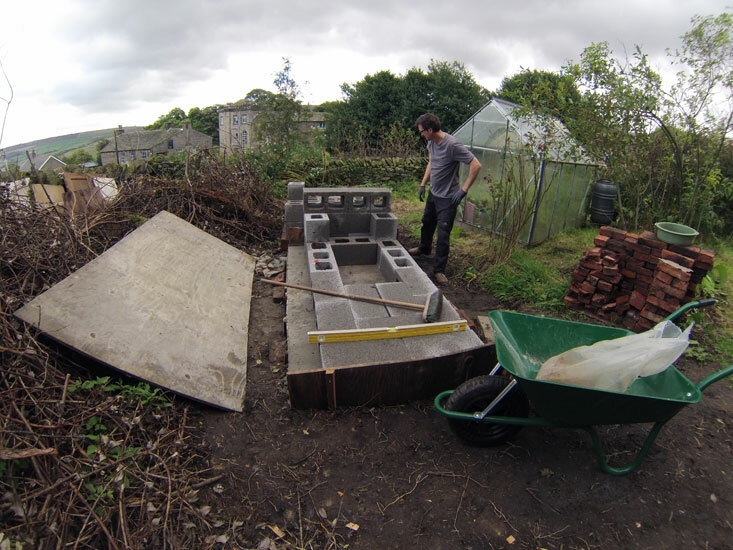 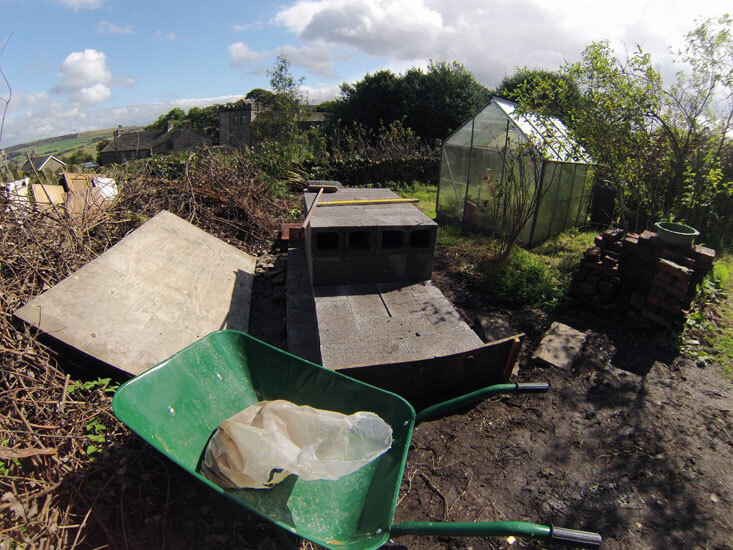 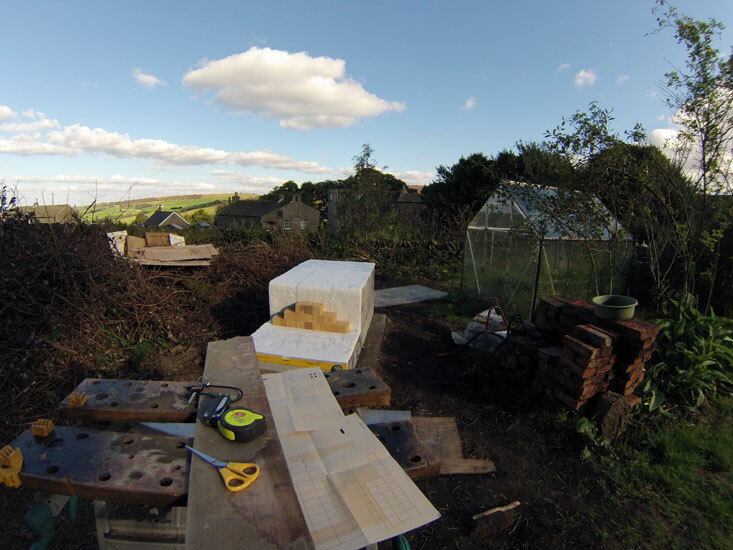 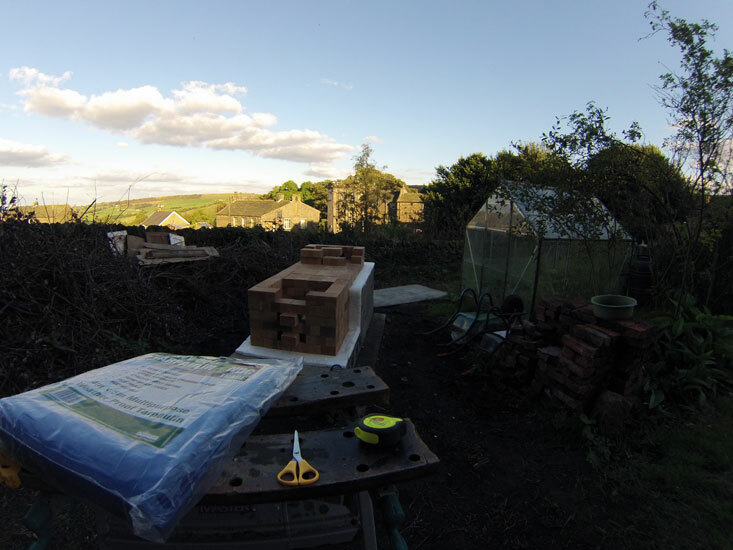 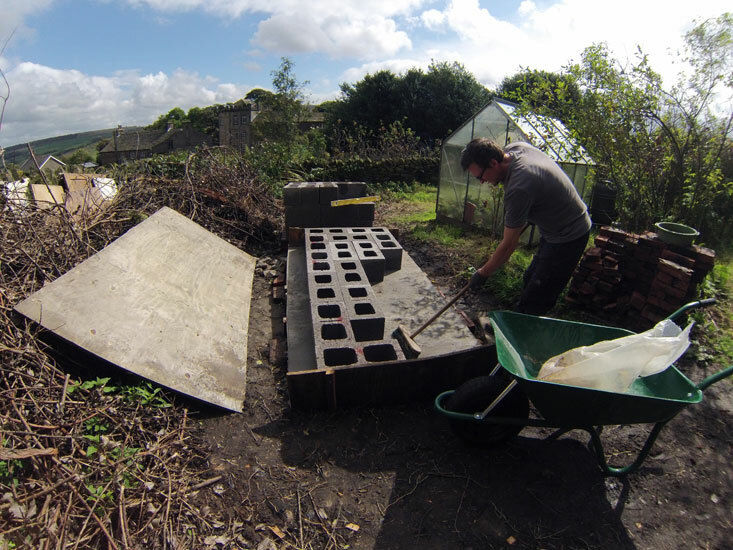 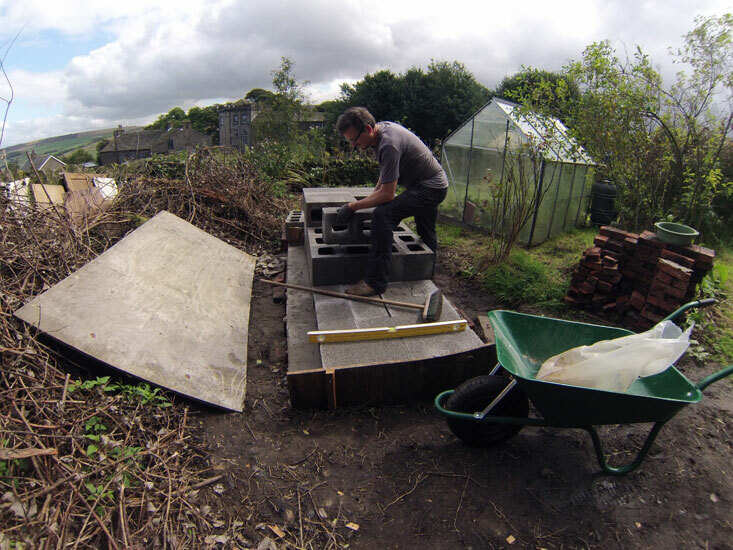 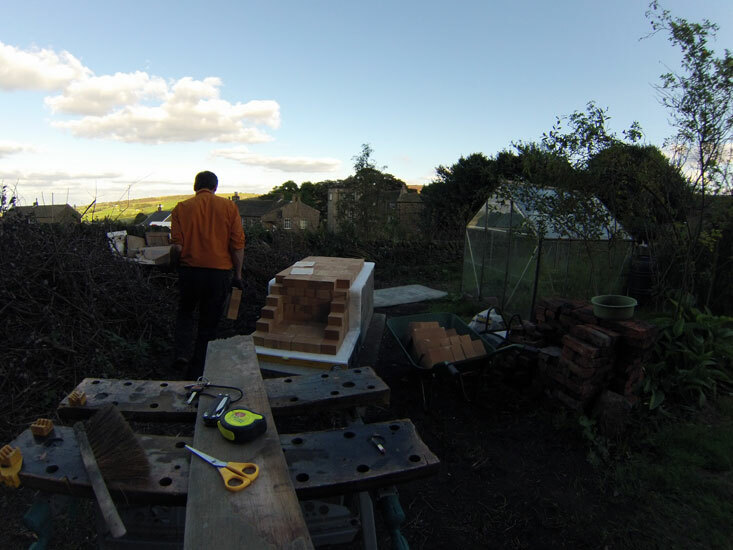 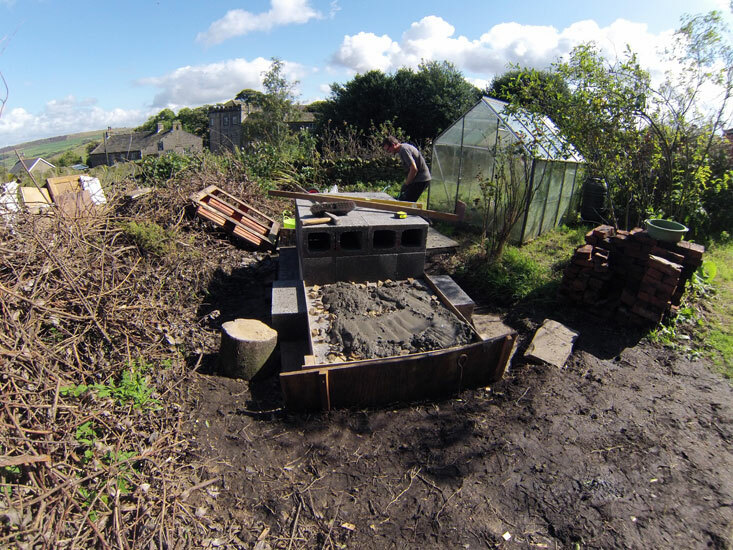 After Holmfirth Art Week in 2014 we decided to build a proper kiln for the space. 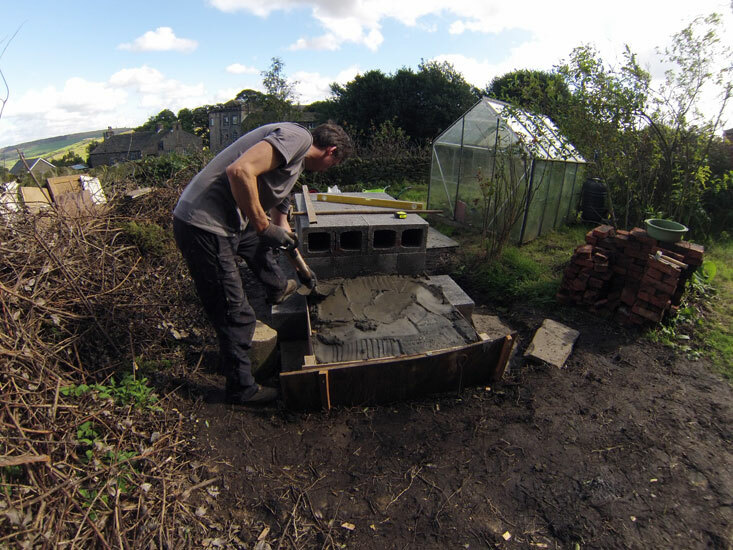 It didn't seem a mad escapade at the time, but it took 4 months and a lot of money to make... and at first it was hard to control. 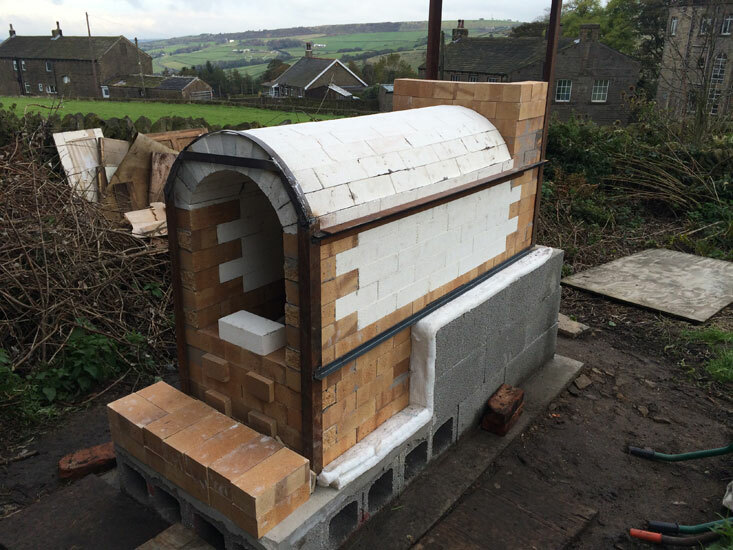 The ware chamber is approx .9 cubic metres. 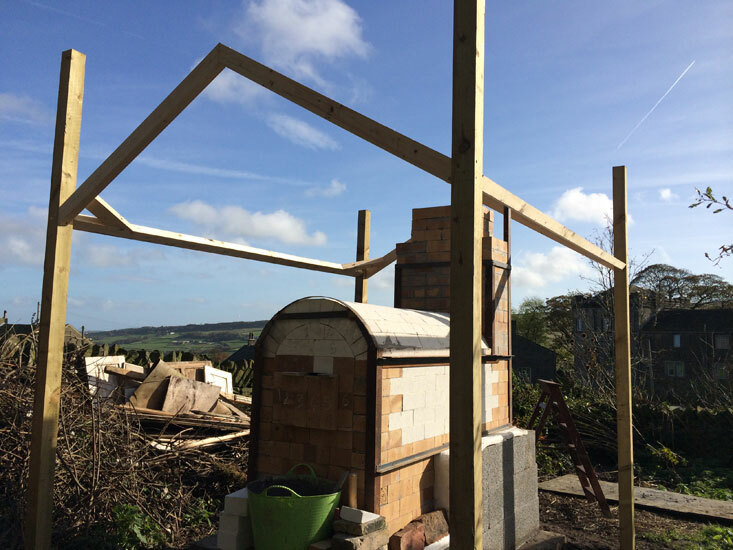 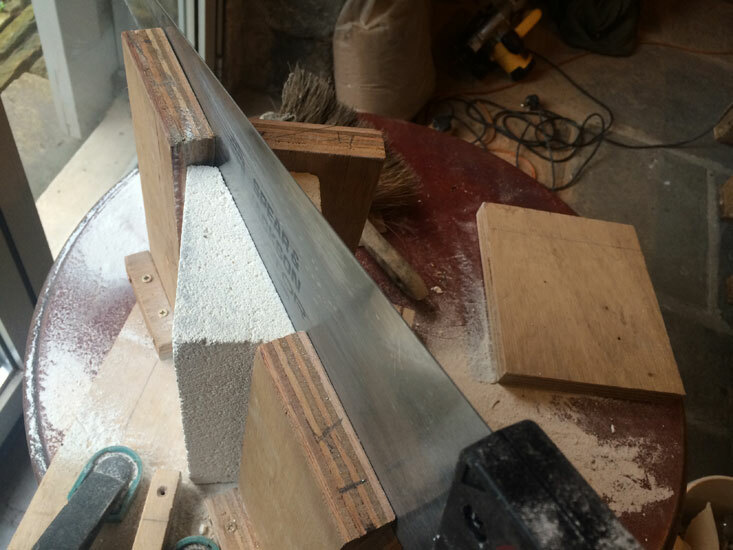 It takes approx 15 + hours to reach 1300 degrees C. It uses approx half of one cord of wood (2' x 4' x 8') to reach this temperature. 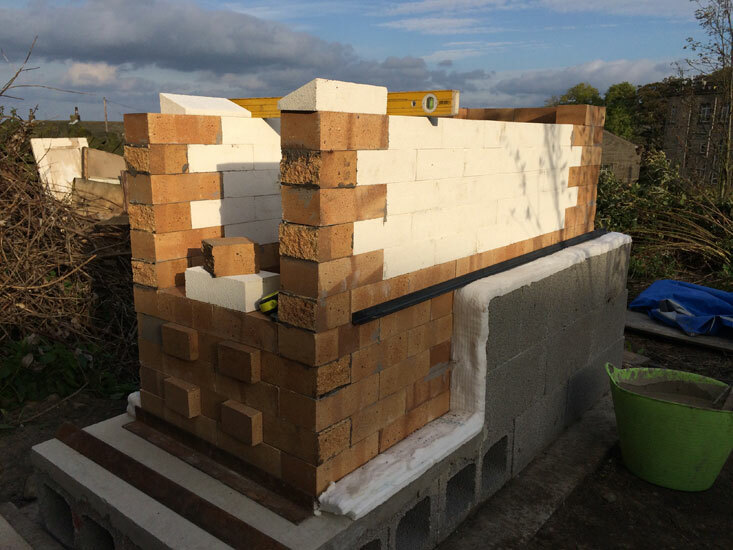 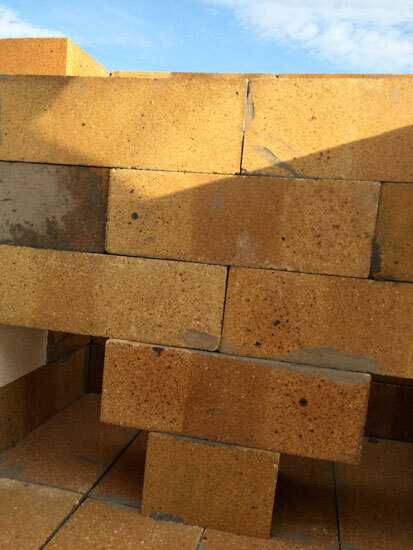 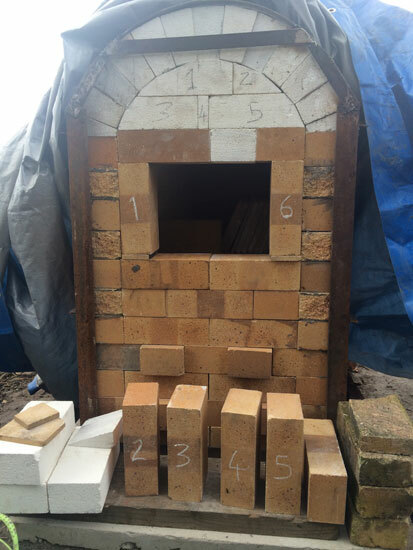 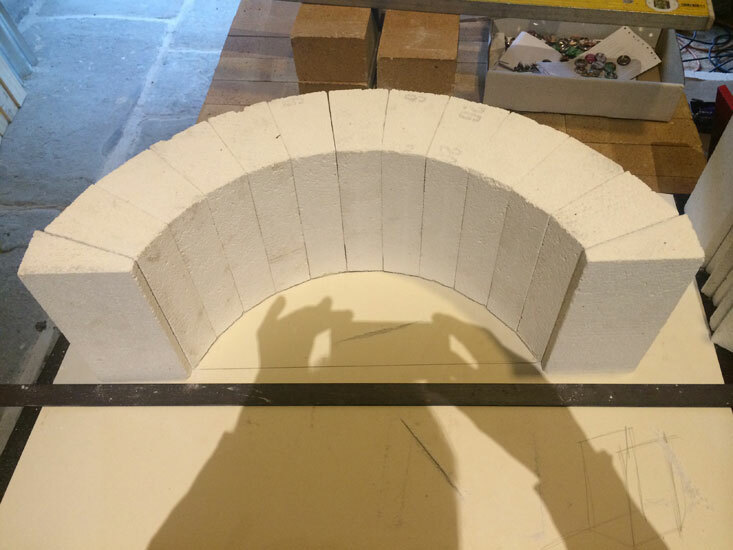 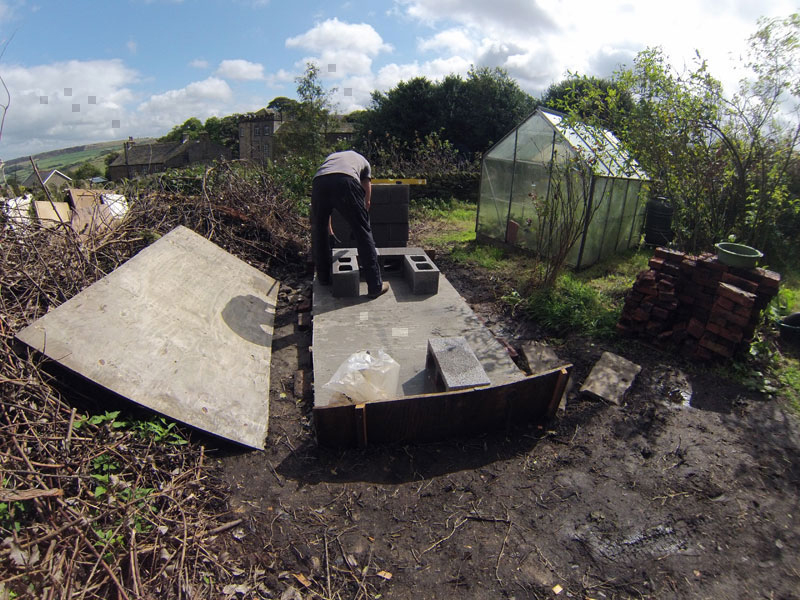 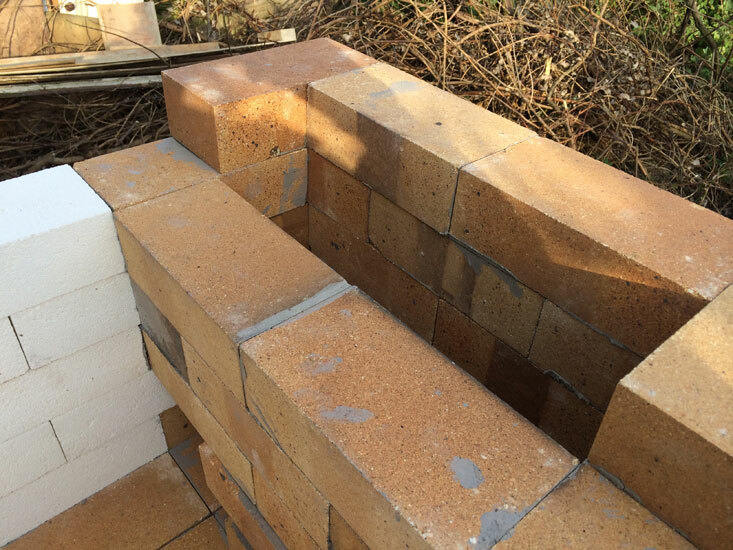 The kiln is available for use - contact us for more info. 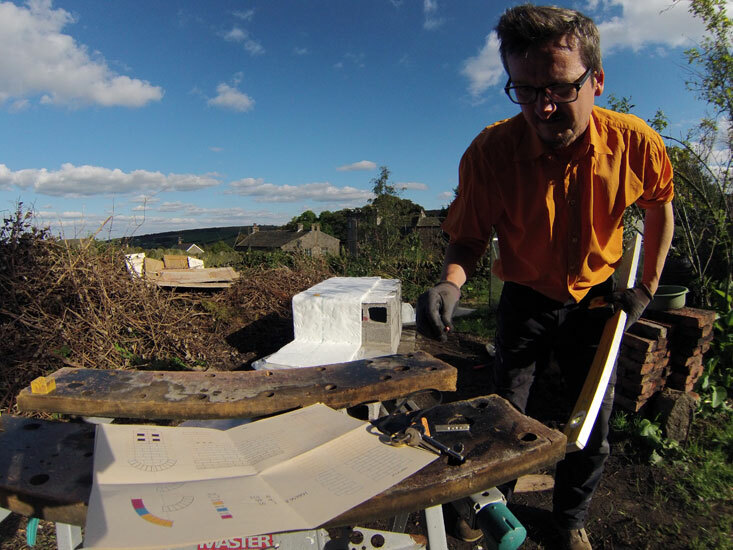 Download plans here.